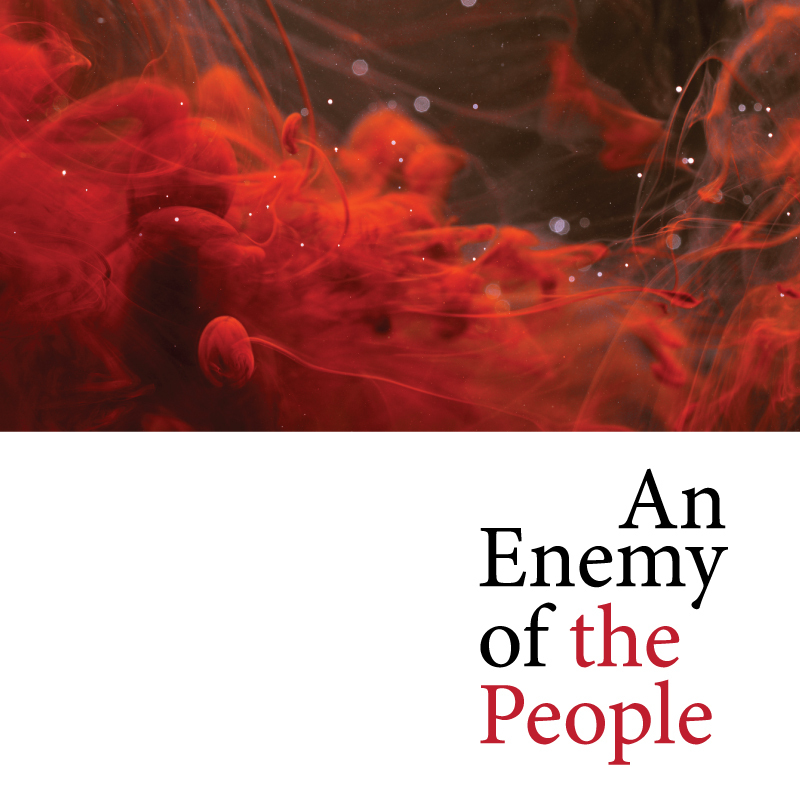 Although Henrik Ibsen wrote the play 125 years ago, An Enemy of the People is still shockingly relevant today. For those familiar with the water issues in Flint, Mich., the Dakota Access Pipeline protests, and water access problems in the west, the conflicts between citizens and shareholders, science and business, and media and government dramatized in An Enemy of the People will seem as current as this morning’s news. This month, the College of Charleston Department of Theatre and Dance will stage a new version of the play by Rebecca Lenkiewicz, which premiered at the Arcola Theatre, London in April 2008 and endured a successful Broadway run in 2012. The production will run Thursday, Feb. 22 through Monday, Feb. 26. Curtain times will be 7:30 p.m., with an additional 2:00 p.m. matinee on Sunday, Feb. 25. A talkback will occur after the show on opening night. Performances will take place at the Emmett Robinson Theatre in the Simons Center for the Arts, 54 Saint Philip St. Admission is $20 for general public; $15 for senior citizens, College of Charleston employees and non-College of Charleston students; and $12 for College of Charleston students. Tickets can be purchased online at theatre.cofc.edu or by calling (843) 953-6306. Students and a special guest alumnus comprise the cast: Douglas Scott Streater (College of Charleston class of 2000) as Dr. Thomas Stockman, Charlotte Leinbach as his wife Catherine Stockmann, Averyona Gainey as daughter Petra Stockmann, and Brett Leach as his brother/town Mayor Peter Stockmann. The all-student production crew includes scenic designer Carrie Ferrelli, costume designer Margaret Lavigne, lighting designer Ryan C. Miller, and stage manager Victoria Leatherman. Learn more about the play’s history, the design process and the production team’s sustainability efforts at https://enemycofc.blogspot.com/.